Clear blue skies and the soft graze of sunlight welcomed us when we exited the underground tube station. The yellow rays rained down, casting a sunlit glow to wrap me in a warm embrace— much to the contrast of typical gloomy London weather. As we all stepped aside to check our phones on how to get to our supposed location, I was certain we looked like a flock of lost tourists aimlessly walking the streets of London. I aggressively ran a hand through my chestnut-colored locks. There seemed to be no end to my mother’s constant inquiry, “Ano na? 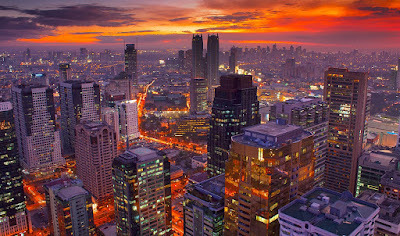 Saan na tayo pupunta?” The temptation to yell and scream at her was almost too much to bear. 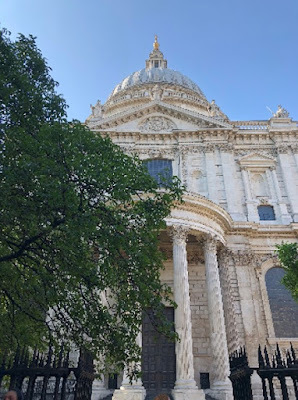 I threw my head back in frustration and like a blessing from God, we discovered signage pointing in the direction of St. Paul’s Cathedral. “Ito naman pala eh, sundan nalang natin ung sign,” (Just follow the sign) I said, following my mother and aunt’s lead as my sister, Jade and I kept our heads down, while glancing at the navigation app in our phones to see if we were indeed heading in the right direction (we were). 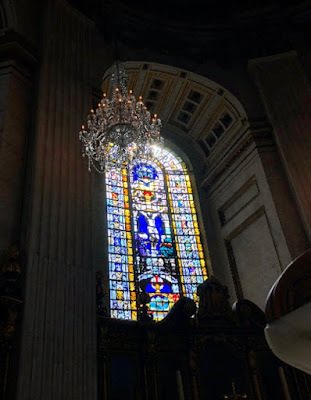 As we took a sharp left and entered the cathedral’s grounds, things began to seemingly move in slow motion like an opening scene in a music video or movie trailer. The leaves hanging on tree branches acted like emerald curtains shielding the majority of the cathedral from my view. 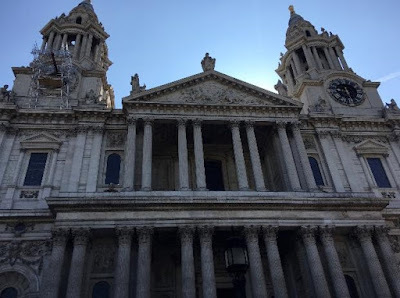 When I continued to walk, the image of the south entrance of St. Paul’s Cathedral came into complete view, its stunning beige hued columns standing tall and proud. In that moment alone, I was already captured and left desiring to see more. I can distinctly remember what I felt walking up the cobblestone steps of St. Paul’s Cathedral like it was yesterday. Pairs of Greek Corinthian pillars held up the majestic structure in rows of two layers with a large mahogany gate barring the grand entrance. Above those gates were various carvings of what seemed to be religious or historical events etched on the cathedral walls. Although I knew nothing about architecture, even I could appreciate the intricate designs that decorated the exterior of the religious edifice. And if I thought the exterior was already breathtaking, the interior of the church stole my heart. Upon entering, we were greeted by a stunning view of The Nave, which was a long central aisle that led to the center of the cathedral, embellished with golden chandeliers hanging from the high ceiling and surrounded with church portals and arcs. The audio tour we received at the entrance led me to walk down The Nave until I reached the center of the cathedral, where I eventually stood above the circular, metal floor that allowed me to see into the crypt below. 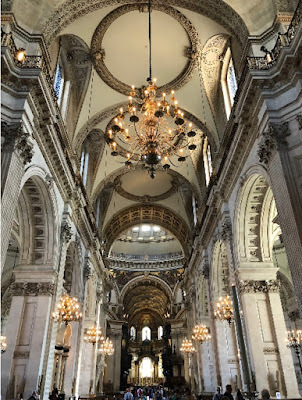 “Now that you are at the center of the cathedral, you are now standing exactly below the famous dome of St. Paul’s Cathedral. Return to the menu to select where you will head to next,” said the voice of an old British man in the self-guided audio tour. Raising a brow at the device’s instruction, “Ah… so hindi pala tuloy-tuloy ung tour.” I thought to myself and slowly lifted my head to see the second heart-stopping view. The ceiling was adorned with golden paintings of what seemed to be arcs, wreaths and ancient Romans gathered together 52 meters above ground. A soft gasp escaped my parted lips and time seemed to stop as I was left awestruck by what the Lord can empower people to do. 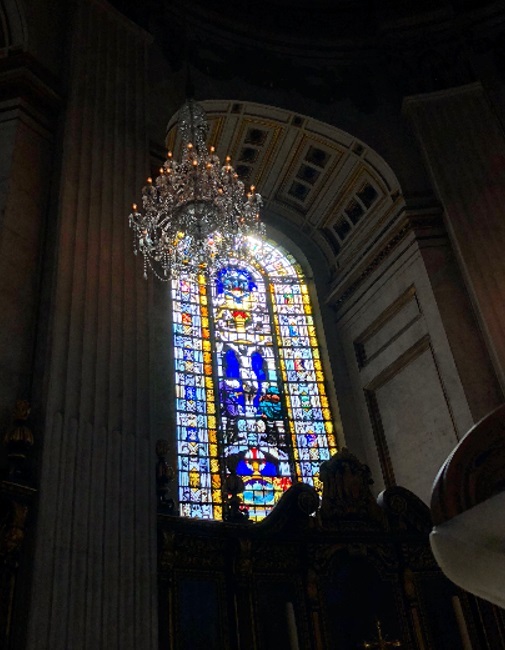 As I approached The Apse located at the East end of the Cathedral with my worn out Chucks causing squeaking noises to resonate around the confined space, I was overwhelmed not by the little chapel-like area, but rather by the glorious stained-glass window behind it. It showed the crucifixion of Christ and was painted with the richest sapphire I had ever seen. Every little detail on each part of the glass would leave one staring for days in an attempt to absorb its majesty. It was in that moment where I truly felt the presence of God— my heart slammed against my chest and there was a fire coursing through my veins bringing my spiritual self to life. Some sensations that I could not even put into words seemed to embody me as a whole. An experience so powerful and all-consuming, swallowed me in His grace. I couldn’t tear my eyes away from it, as if reminding me how blessed I was to be able to witness such art. Speechless, I couldn’t help but slyly snap a photo to keep it with me forever.